Scott Tolleson will be putting on a big show at SDCC this year. His booth # is 4836. 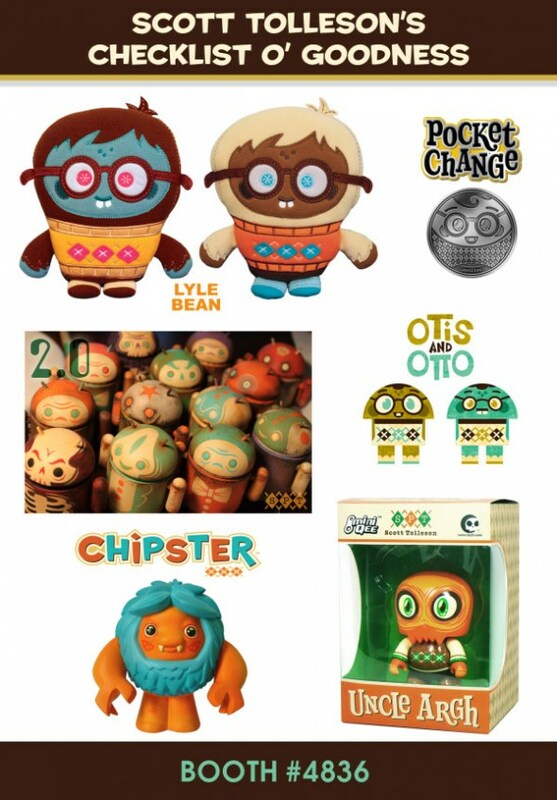 He'll be debuting his new Lyle Bean plushes, a custom Android series, a third colorway of his awesome Otis and Otto figure sets, the 5" Uncle Argh Mini Qee by Toy2R, and much more! Definitely a booth to hit. I want to win a @MrScottTolleson button pack from @tenacioustoys! #TollesonButtons http://yfrog.com/kjwvgbpj Pls RT! On Monday morning I'll use Tweetdeck to see who tweeted that, and I'll use Random.org's random number generator to pick 2 lucky winners! You HAVE to be following both us (@tenacioustoys) and Scott Tolleson (@MrScottTolleson) to win, since I'll be DMing you for your shipping address! 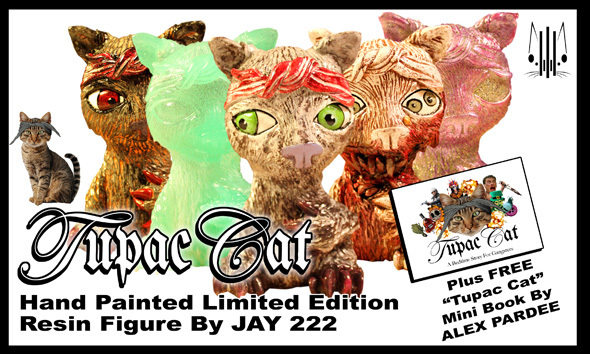 Sculptor & painter Jay222 created a 75-piece run of Alex Pardee's "Tupac Cat" character for the Zerofriends booth (#5502) at SDCC. 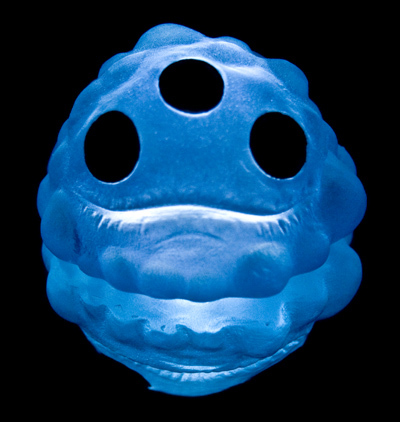 No two are alike, meaning you'll get a completely unique piece. This also means Jay has been worked to the bone and he's probably dead now, or at least has carpal tunnel. Way to go, Alex. 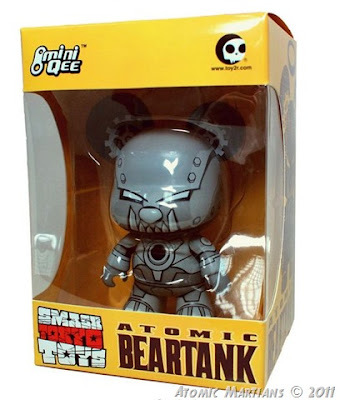 Thanks to our friends at Atomic Martians, we have this image of the Smash Tokyo Toys' SDCC Exclusive Atomic BearTank 5" Mini Qee, which will be sold at the ToyBreak booth #4838. 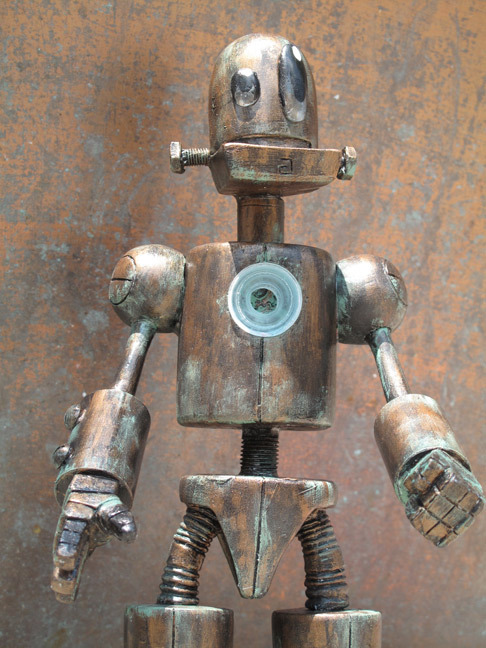 A limited run of just 80 pieces, this Mini Qee will cost ya $28. Don't sleep, they'll be gone in a flash. 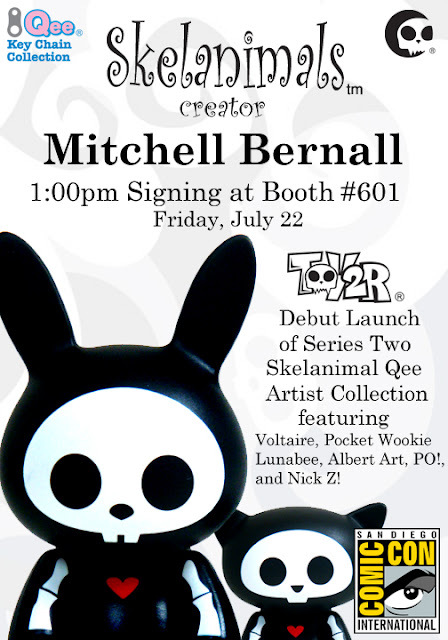 Our friends at Toy2R have a lot going on at SDCC 2011, including the launch of Skelanimals Qee Series 2 (pictured below). 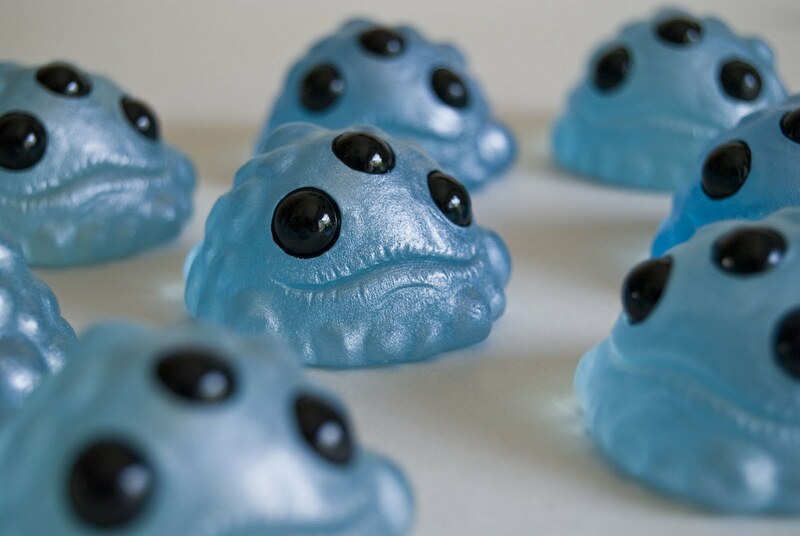 On hand will be Mitchell Bernall, creator of the Skelanimals toys. Mitchell will be signing at 1PM on Friday July 22nd at booth #601, where the Skelanimals Qees will be launched! 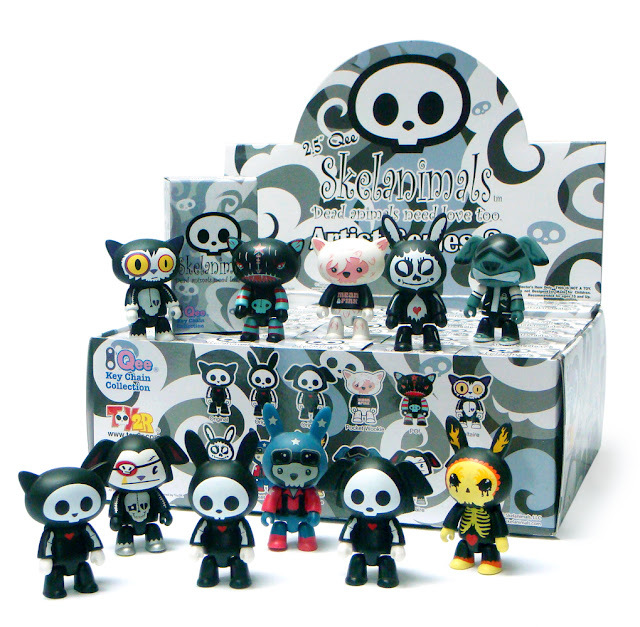 If you can't make it to SDCC, you can always preorder Skelanimals Qee Series 2 in our shop here. Tony “Titanium” Montalvo, Sculptor of Keithing's Myth Warriors and the Snackz zipper pull line introduces his new creation... "TITANIUM the Robot"!!! 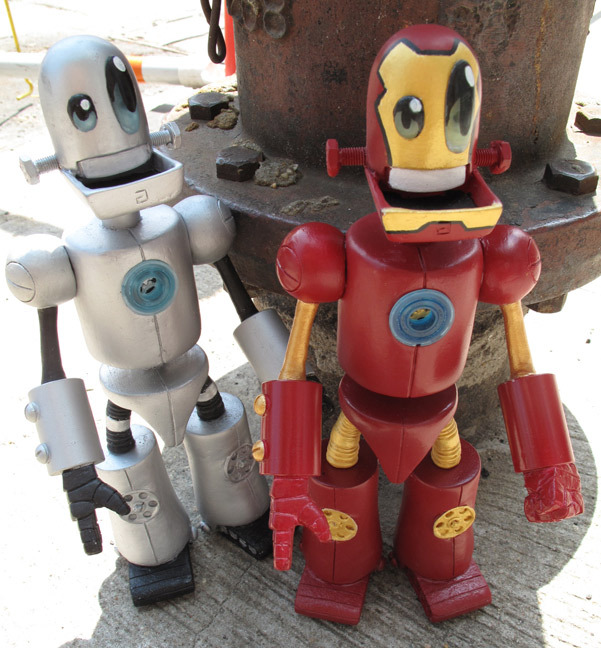 He’s the muscle and the heart behind the whole Titanium toyz line, where Tony designs the Toyz, and TITANIUM builds them! He’s the robot with the heart of titanium, which is an unbreakable metal! Tony built TITANIUM the way Frankenstein was built, taking parts from other robots and piecing them together... and it's pretty obvious that Iron Man was an inspiration for this figure! 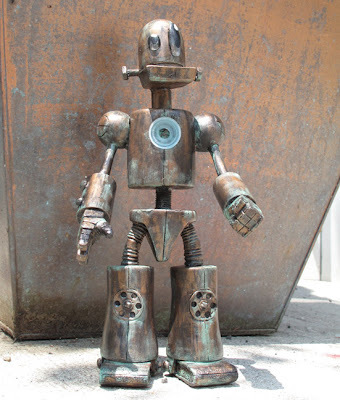 He stands a whopping 12" tall, is all hand casted and painted by Tony “Titanium” Montalvo, and the really cool thing about these is that the eyes and chest plate are glow in the dark. 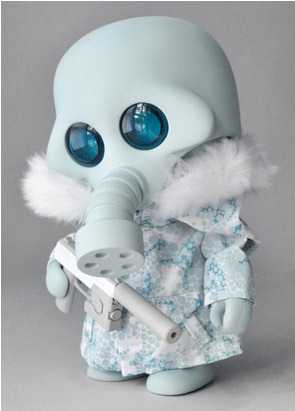 This figure will make his debut at SDCC 2011 via ToyQube's booth #4934 in the three colorways, limited to 4 of each and they are priced at $125 each. 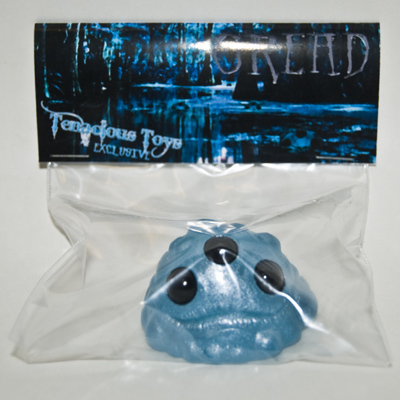 LYS0L just finished a small run of 8 special, Tenacious Toys Exclusive blue-tint Greads with pearlescent spray. I love LYS0L's Greads, and when I saw that he was testing out different color ideas and putting the images up on his Twitter, I thought it might be a good time to ask him to do a run just for us. Release date for our exclusive Greads will be this Saturday, July 16th at 5PM EST. 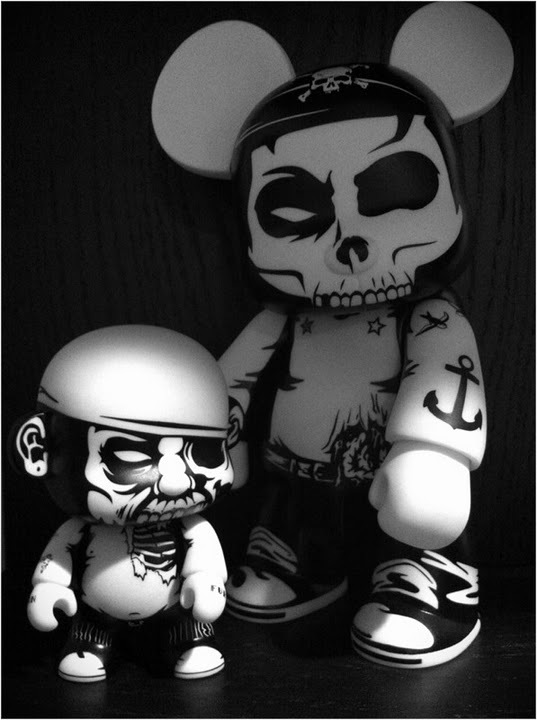 Look for them in our Exclusives Section for $15 each. A freaking STEAL for exclusive, handcrafted, handpainted resin. Don't sleep on these! The upcoming Squadt NOZZEL s004 [frozn whole] 6" vinyl figure is now up for preorder here. 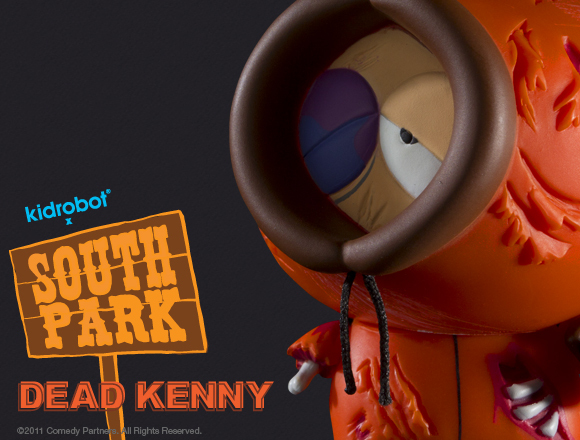 Release date for the Dead Kenny 3" vinyl figure by Kidrobot is 7/21/11. Just got our tracking info and it looks like we're all set for having the product in stock on the release date. We'll be selling this figure here for $10.95 each. Oh my god, we killed Kenny! South Park and Kidrobot kick off an awesome new collaboration beginning July 21. You know Kenny as the poor kid in the group, who eats canned food and frozen waffles for dinner and has died in innumerable ways in South Park’s first five seasons. Sculpted to look every bit the worse for wear, Dead Kenny features exposed brains, bloody ribs, authentic cuts, scratches, and scrapes, and an arm that falls off the bone. 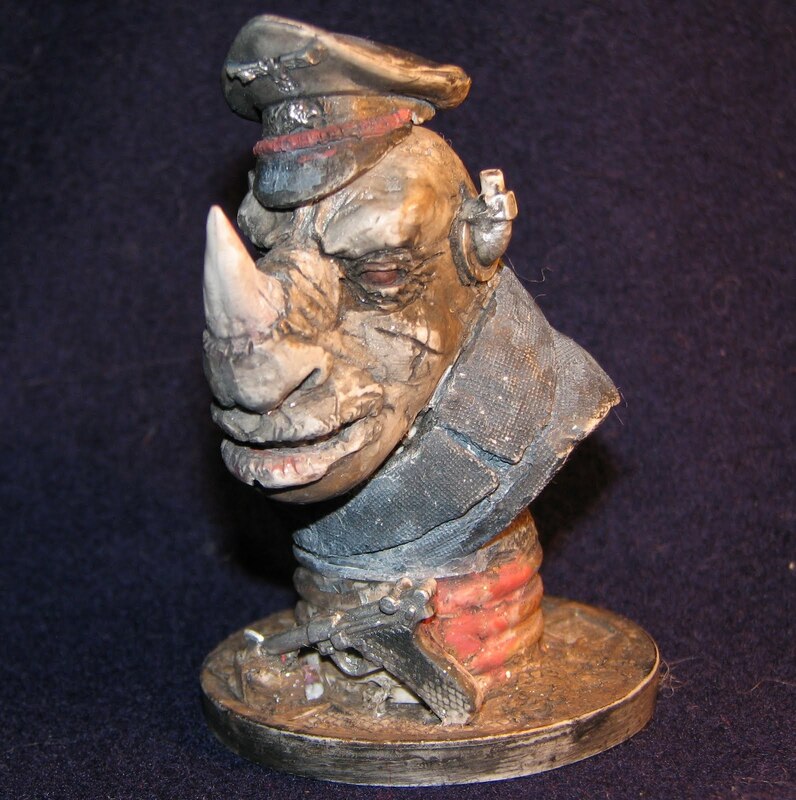 Patrick Quinn of Red9 Studios shares with us his original "Military Rhino" 4-inch busts, which he's selling for $25 each. Many versions and paint options are available. Patrick can also paint yours to order, or he'll sell blanks for a bit less. In addition to his blog, you can find Patrick on Facebook and Twitter. Eric and Thunderpanda had a booth, and they sold out of the Perry the Sea Wanderer figures they brought to the show. Expect to see more Perrys from Thunderpanda soon (they're making 50 pieces). Also, their giant plush Lemi the Space Wanderers were very well received! Boy, I hope one day I can get over there to Taipei... looks like a lot of fun! 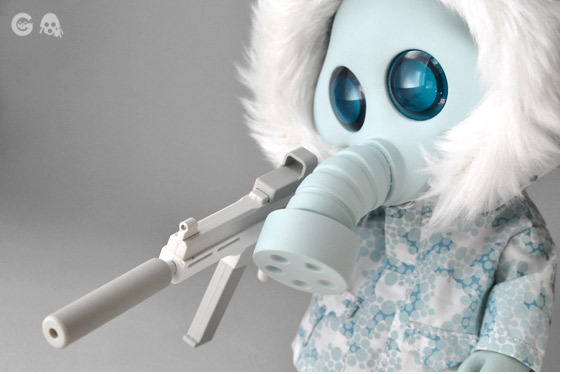 At right is the Toy2R 8" Olaf the Mute Qee designed by Jon-Paul Kaiser. I just saw this image for the first time in Kevin Winnik's Google Plus stream. Olaf is pictured next to the upcoming First Mate Nathaniel Vigo 5-inch Mini Qee. Nathaniel Vigo will be making his first public appearance at SDCC. Both pirates are crew members on the Whispering Corsair. 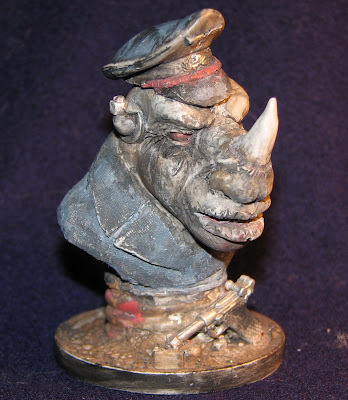 There's a sweet Captain Sturnbrau figure coming as well, with a pirate hat, hook and pegleg. This Whispering Corsair series is shaping up to be AWESOME! Will be selling ALL of these JPK Qees so you'll know where to find 'em... Tenacious Toys! This week only (Monday the 11th thru Friday the 15th) we'll be throwing in a FREE 3" Joe Ledbetter "Cold Day in Hell" TQ variant Trexi with ALL orders of $40 or more. No limit to how many orders you can place. For every multiple of $40, you get another Trexi (place a $120 order and you get 3!). Go shopping at Tenacious Toys now!